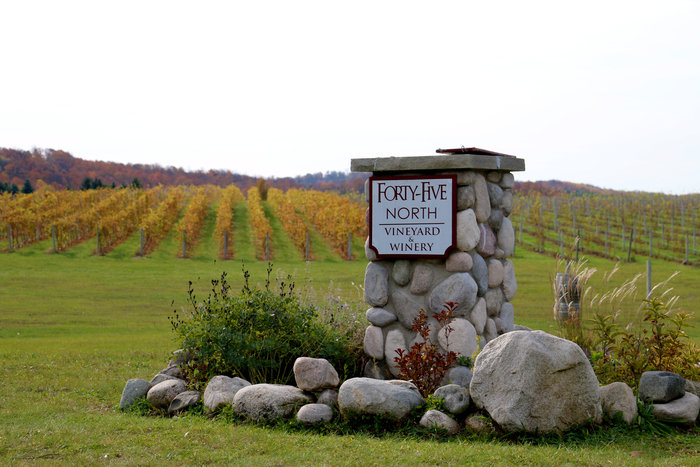 Michigan is a leader in the production of wine and spirits, so while you’re here, enjoy a spirited tour of Traverse City’s winery and distillery loop. Find yourself a map of the 20+ wineries in the area, one of few attractions to be open year-round, daily, though most have winter hours. They tend to be busier on weekends, so if you stay mid-week with us, you may find yourself in your own private tasting. 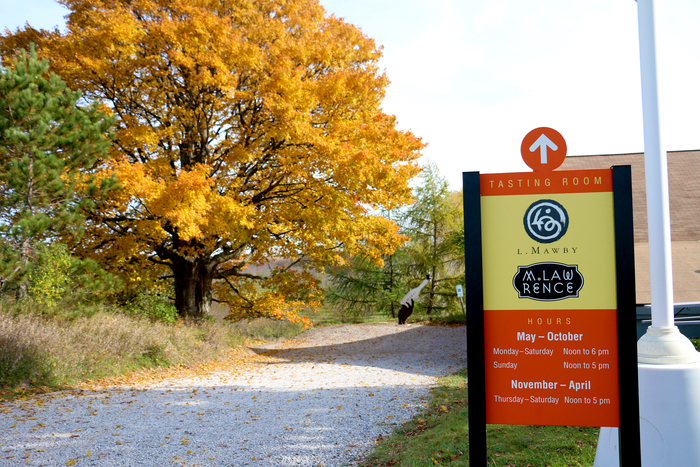 This family-owned distillery offers free tastings of its unique array of bottled spirits. It’s a fun experience, because you can view the production, sample the product and shop all in one place. We stopped in and sampled a few with Russ, who was amazing. 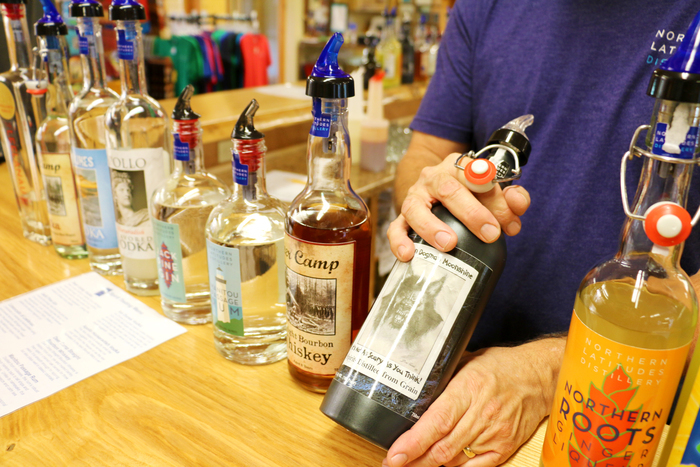 Northern Latitudes offers a free tasting of up to four products, ranging from vodka to gin to rum to moonshine and sweet liqueurs … they have it all. The bestseller, by far, is the horseradish-infused vodka. They even made us a shot-sized Bloody Mary! (Best we ever had.) We bought a bottle of the vodka to take home, and to this day wish we had purchased several more. The special cherry vodka is not flavored or infused, but rather distilled from local Leelanau cherries for a subtle fruit-forward aftertaste. Our total surprise favorite was the Mackinac Island Fudge Chocolate Liqueur. In hot chocolate, this stuff would be dangerous. In addition to the sampling spot, they also have a small gift shop and bar with a seating area. After your tasting, stop here for a signature cocktail crafted from local ingredients. If you’re hungry, you can bring in your own food from area restaurants. There’s barware for sale, along with cool T-shirts and sweatshirts. Located squarely on the 45th parallel, a tagline of this vineyard and winery is, ‘Get wine on the line.’ With everything hand crafted on site, this is a true vineyard-to-bottle operation. By far, Forty-Five North offers the most elegant tasting room of the bunch. (Yes, that’s a grape pun.) It has a western flair with a rustic feel. Picture exposed beams, a fireplace and couch. The walls are vintage metalwork, and there’s a mezzanine for special events. If you have a special occasion to celebrate, many of the wineries make themselves available for rehearsal dinners, weddings and other parties. Forty-Five North is a family-owned and operated business. Mom, Dad and the kids are all involved. 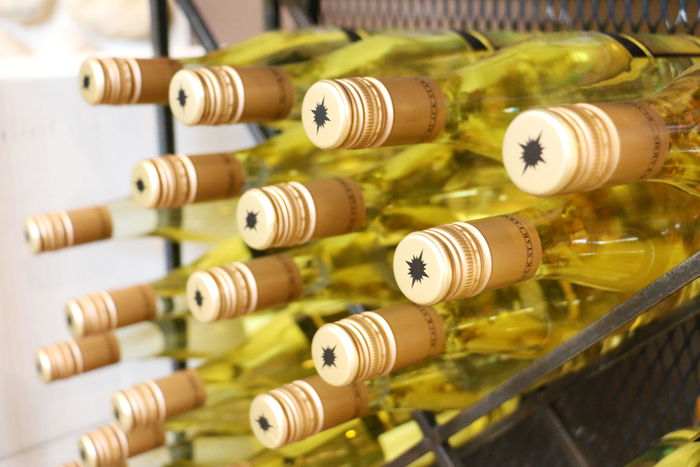 Open since 2006, the winery has already won 72 awards. People are just ‘lining’ up. This one was a little off the beaten path. We actually drove right past it at first. There’s no big, flashy sign, but instead a small sandwich board style that reads, “This Is It.” There should have been flashing neon lights with a big arrow saying, “Turn Here!” That being said, keep your eyes out. The vibe here, like the directional signage, is super chill. They specialize in artisanal hard ciders, using Michigan apples and working with local growers. After sampling a variety of wine elsewhere, it’s a nice change of pace to try some hard cider. 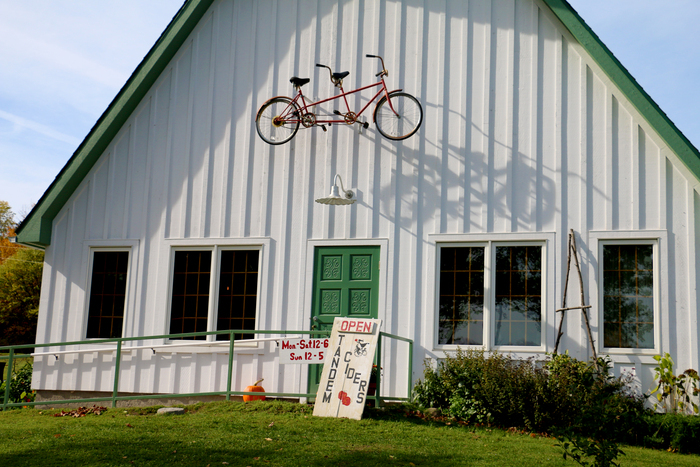 Read the owners’ sweet story on the Tandem Ciders website, and you’ll learn why there’s an actual bicycle mounted to the exterior of the building. Tandem Ciders features a small tasting room with pleasant decor. There’s nothing stuffy about it, from the dart board to the horseshoes. Their firm (yet relaxed) emphasis on community and camaraderie is palpable. This location defines itself as an agricultural destination. (Hence the word farm in its name.) Black Star Farms boasts a winery, distillery, tasting rooms, working farm, stables, space for weddings and other events, a luxury inn and farmstead restaurant called Hearth & Vines. The restaurant wasn’t open when we visited, but the entire compound is very country chic and distinguished – more modern and upscale than the other locations we visited. You enter the property through black metal gates, ride through rolling vineyards and then round the curb to see the inn, which is quite lovely and has been noted as a “Distinguished Inn of North America”. The tasting space offers a brief display tour, detailing the history of the property and wine-making process. You could spend a whole day here, or longer, exploring greener pastures. L. Mawby is the place to be for sparkling wines – not champagne, because we aren’t in that particular region of France. C’est la vie! Who isn’t happy about bubbly, no matter its name?! 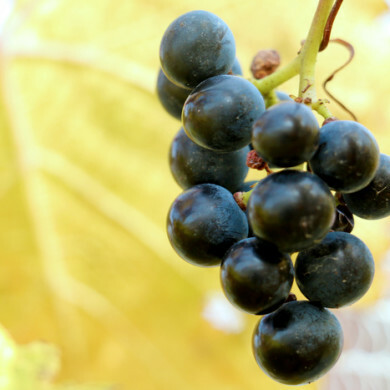 This winery offers at least two free tastings, followed by featured paid flights of two wines with small bites. They also have an exclusive Fizz Club, and some wines are available only to members. Others are only available for sale in the Tasting Room. This was one of the older locations we visited. L. Mawby planted its first vines in 1973.